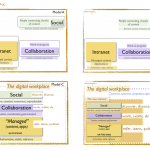 Some time ago, I wrote about the snapshot of the Digital Workplace and sketched how I see it. The sketches have been shown in conferences in Stockholm, Utrecht, and Paris – and people came to me afterwards asking if they could use them in their own companies to illustrate their strategies. The answer was yes, of course. The sketches have been shown to a fair number of organizations who are using them in different ways. A global company in the automobile industry used Models C and D to pull together multiple digital initiatives proposed by their digital agency into a coherent framework. A global company in the telecommunications industry is using them to position their social networking platform vis a vis their traditional intranet. 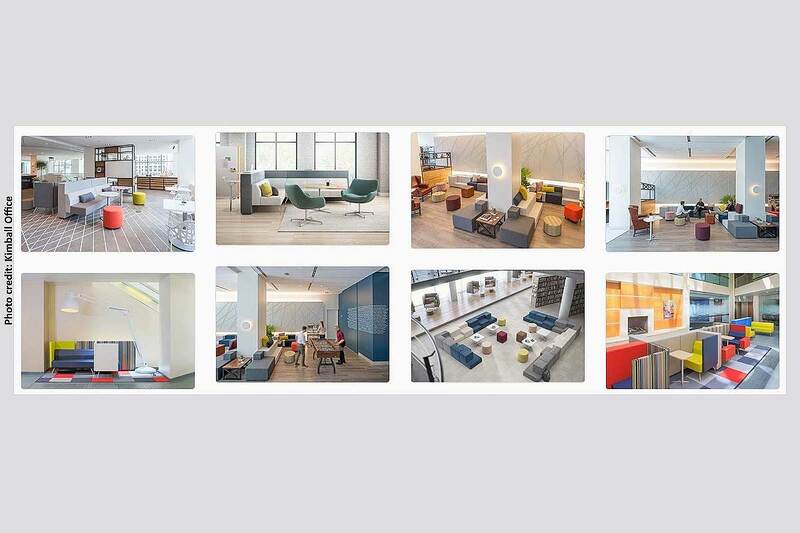 These “snapshots” are quick one-click views of how managed content, applications, project spaces and social collaboration can all be part of a larger, inclusive, coordinated framework. They were designed for the owners of the different platforms – the stakeholders who absolutely need to come together to define over-arching frameworks for the sake of the users. This sketch is my favorite one. I call it the “X-Ray shot”. It reveals the bones. 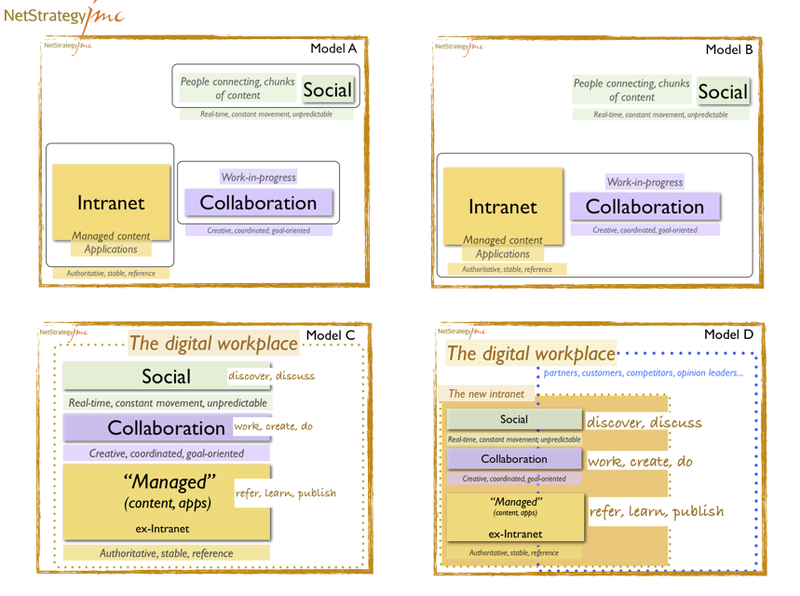 It shows the essence of the digital workplace. By essence, I mean what holds the digital workplace together, even if it is technologically fragmented. People need to do lots of things. These things intersect with each other. People need to discover, discuss, create, collaborate, share, look up, revise, disagree, contribute, and on and on. The verbs don’t stop! As long as they can do what they need to do, people don’t care which platforms are best for what. That’s the job of the digital workplace leaders who need to ensure that the pieces fit together, that there is a tool set that meets all the basic functional needs. Previous PostIs Business Steering Your Digital Workplace? 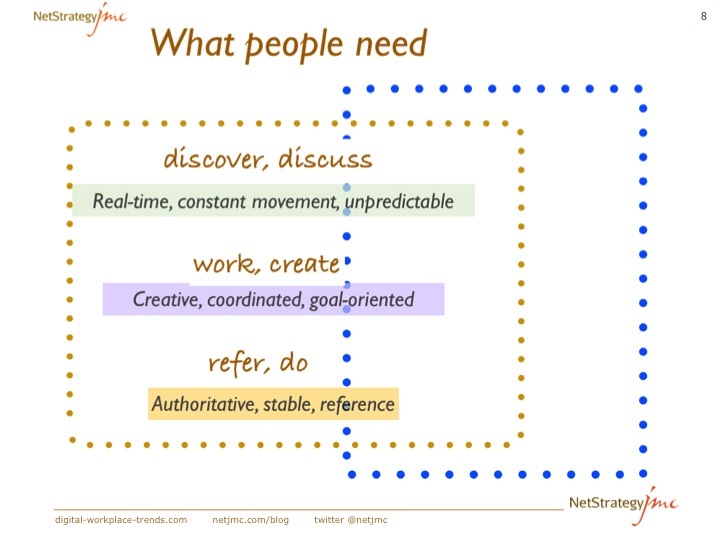 Next PostWhat’s relevant for digital managers today? 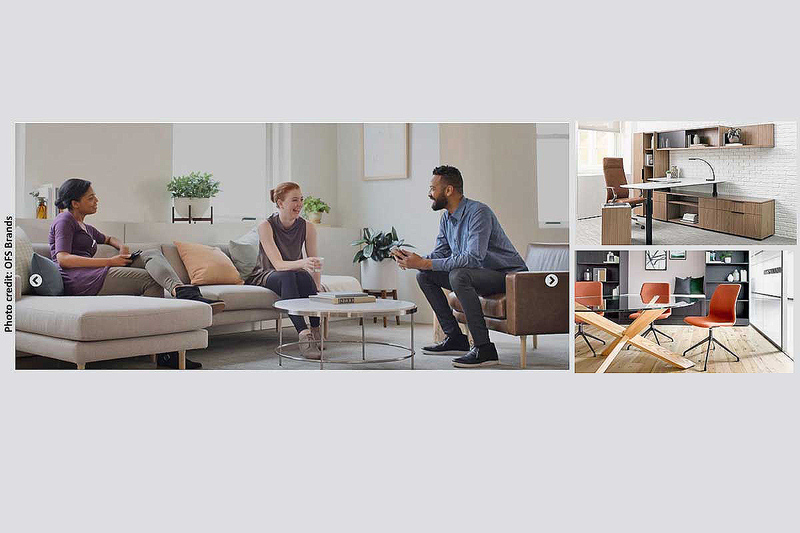 Workplace Design: a Continuum of Multiple Disciplines People and place matter in workplace design today How many platforms in your digital workplace? Demographics and Digital Workplace Maturity The Digital Workplace Journey, World Cafe in Berlin 2014 BYOD and High-Performing Companies High-Performing Customer-Facing Workforce and BYOD Working out loud not yet the norm Hacking Work – Bring Your Own… Going social? Don’t create needs. Respond to existing ones.